Replacing your home’s siding or even talking to a siding contractor in Boulder may not be at the top of most homeowner’s to-do lists. In fact, unless there is a specific and urgent problem with a home’s siding, replacing the siding may not be on the homeowner’s radar at all. But perhaps it should be. After all, siding does wear out. It cracks. It breaks. It gets old. Eventually it begins to leak; and when that happens it may already be too late to prevent other major (and potentially expensive) repairs. Today we’ve got some sure-fire signs it’s time to replace your home’s siding. Does your home need frequent painting every 5 or 6 years? This is a good sign that something is wrong with the current siding. Good home siding should keep its shape and keep its color for at least 8-10 years, if not longer. Have you noticed high heating and cooling bills? When a home’s heating or cooling costs go through the roof (so to speak), that can be a sure sign that a home is in need of new siding. Naturally it is important to rule out a bad or leaking roof or lack of attic insulation as the culprit, but heating or cooling costs that are not in line with those of neighbors with similar structures is an indication that something is seriously flawed with a home’s exterior wall insulation. Is there rotting and warping in the siding? Do an inspection around your home. If the layer under a home’s siding has begun to rot or become soft, that is a sure sign that the home’s siding is due for immediate replacement. At DJK Siding we specialize in commercial siding. From Colorado Springs Siding to Denver Siding to Centennial Siding we are professionals. Learn more now! 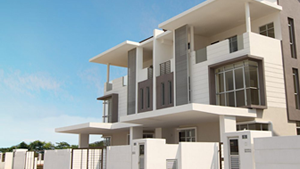 DJK Siding directly specializes in residential siding. 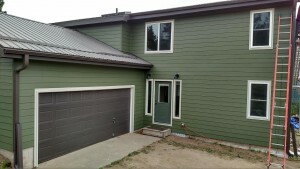 Centennial Siding, Arvada Siding, Boulder Siding, Pine Siding, Denver Siding & more. Learn more now! 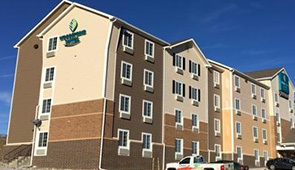 DJK Construction, Inc. directly specializes in multi-home siding for: apartment complexes, condos, town homes, and more! Get more information for the Top Rated Siding Installer today!